By-Laws of the Corporation and the rules and regulations for the running of all AFTCA sanctioned field trials. This is the most up-to-date version of this document (2018). 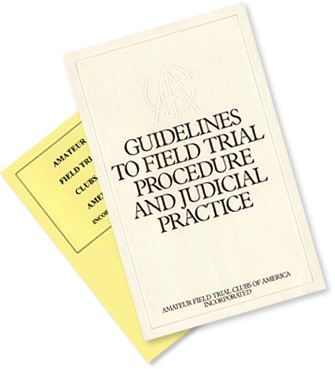 Published in 1988, these Guidelines are considered an invaluable tool for all those competing in, conducting, judging and reporting field trials, regardless of their experience and expertise.